The aim: to assemble one-shot photographs of 1000 people from around the world. Such has been the project’s recent popularity that at the last shoot in San Francisco many daring volunteers had to be turned away. The queues were too long. Would-be volunteers in London were advised to avoid similar disappointment by arriving early. 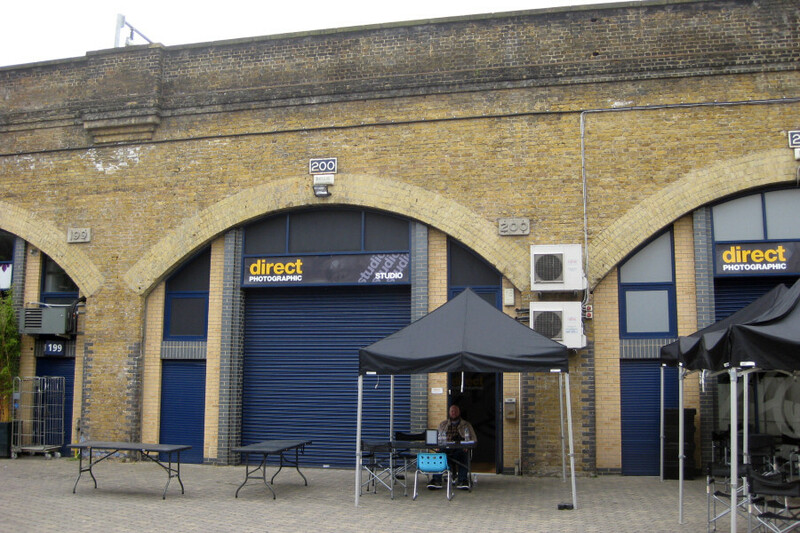 The shoot was to take place between midday and 6pm at Direct Photographic, near Waterloo station. Prior commitments meant I was unable to arrive before 3pm. To my surprise, however, there was no queue, just a lone man sitting at a table outside the studio doors, waiting to take registration details. We had a pleasant chat about the project while I completed the model release forms. Apparently I was only the thirteenth person to sign-up that day. Lucky me. I accepted a complimentary bottle of water but declined the chance to take part in a filmed documentary of the project. At the time I felt I had not sufficiently arranged my thoughts to make a worthwhile contribution on camera – a decision tinged with slight regret in hindsight. Kenneth Sortland Myklebust himself appeared on the scene at this point. We shook hands and he lead me into the studio to where the photograph would be taken. 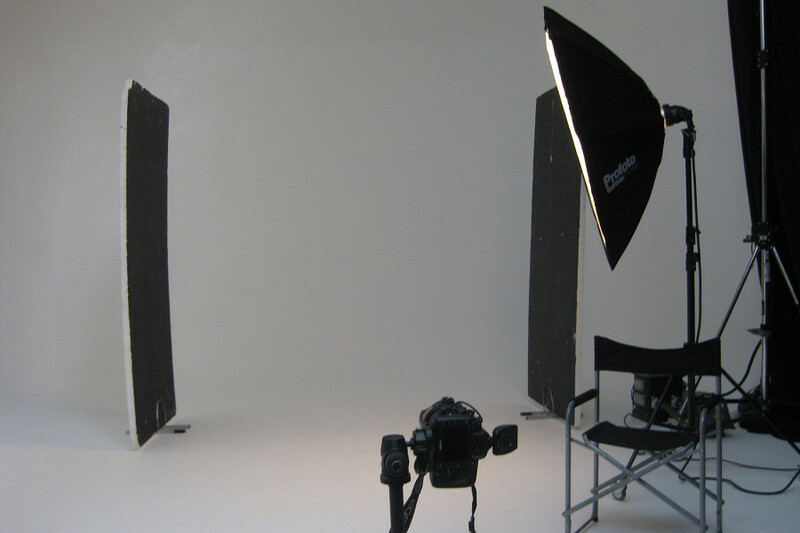 The shooting space was obscured from the view of anyone else in the studio. Kenneth tested the camera and showed me where I should stand. 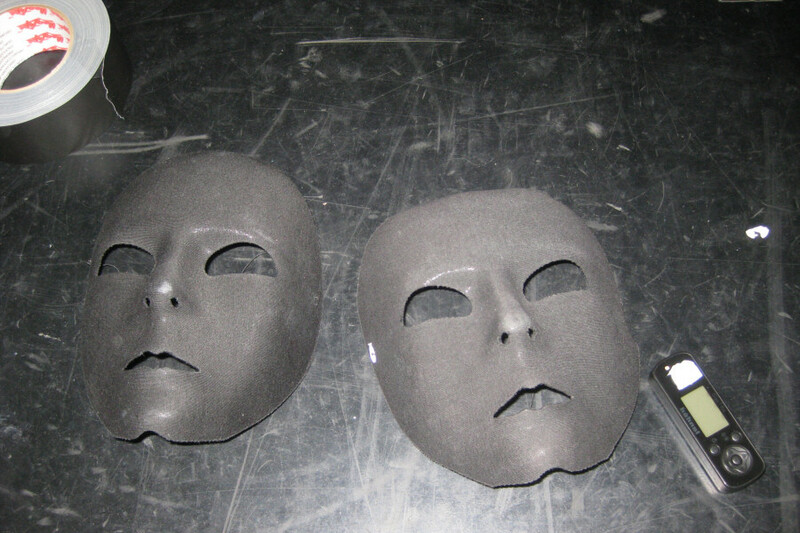 He then demonstrated how to use the camera’s remote control and offered me a choice of two black masks. I had already decided to wear a mask, not to conceal my identity but because the mask itself has become such an iconic feature of the project. It would have to go over my face as the pose I had in mind would not work with it positioned anywhere else. “Of course, you will have to be completely naked,” said Kenneth. Of course. He then left me to get undressed and take the photograph. The nakedness was of no concern whatsoever; the thought of having just one shot was hugely unnerving. Nonetheless, within minutes of having arrived I was utterly alone and bare, save for the black face mask, standing in isolation before an unforgiving camera. As I would not be recognisable by face I decided to adopt a signature pose from my life modelling. I stood on the designated spot facing forwards, one leg diagonally in front of the other, elbows crossed close to my torso, looking upwards with hands curved at the sides of my head, concealing the remote control in my right hand. I pressed once more, holding longer before releasing and pressing again. Slight paranoia set in – that I might be losing the pose and that my one shot, if ever it came, would be a poor one. I pressed again. Success! Well, it seemed all right. And of course there was nothing left to do but get dressed and walk away. Outside the shooting space Kenneth was waiting with his laptop. Quickly he downloaded the image and cropped it slightly, allowing us both to admire my effort. He expressed his satisfaction, and I too was relieved it appeared pretty much as I hoped it would. Number 379 was written at the top of my model release form – presumably my place within the full set of 1000 bodies. We shook hands one final time and I departed, just fifteen minutes on from when I’d arrived. It had been a short, unpaid piece of work but when the project is complete, I know I’ll feel great satisfaction at having had the chance to take part.